Download Free Corporate Flyer PSD Template Set. This Free Corporate Flyer PSD Template Set designed exclusively for corporate, business, agency promotion or any multipurpose promotional use. You can insert and modify this corporate flyer template with your own brands, Logo, images, and text etc. 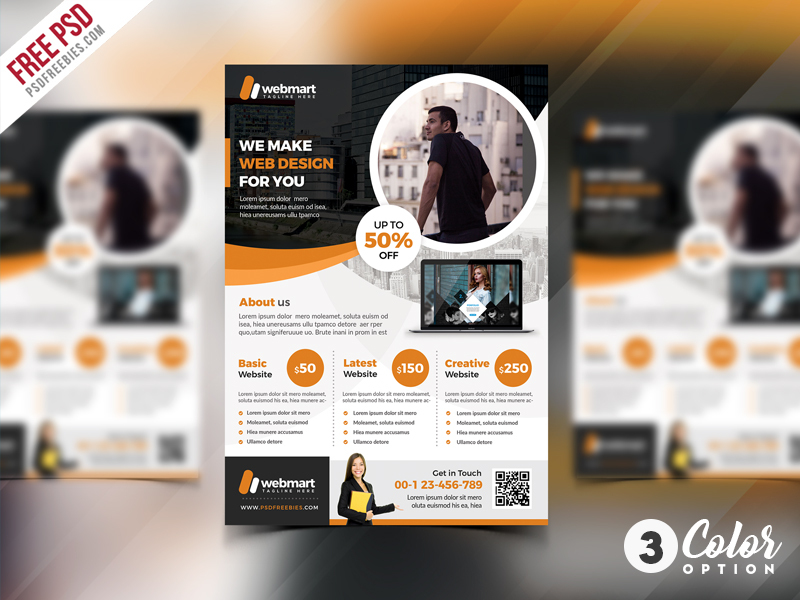 This Free Corporate Flyer PSD Template Set comes with 3 different color options. As usual Free Corporate Flyer PSD Template Set is layered, easy to use, customize and download contains 3 layered A4 size, 300 dpi print-ready CMYK psd files. Hope you like it. Enjoy!